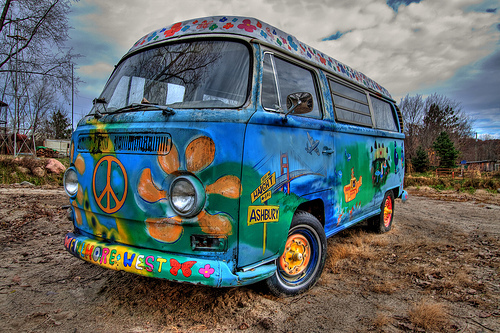 For me Hippies mean Fredom,RebeL,Peace and Marijuana :p totally COOL, except for Marijuana. 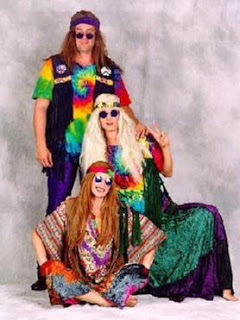 people who wear a colorfull shirt "TIE DYE", long hair, headband, hippies are part of a youth Movement in 1960. criticizing the medium up, against nuclear weapons, some of them embraced the sexual liberation, vegetarian, eco-friendly, and is identical to the psychedelic drugs. They make alternative arts, street theatre, folk music and psychedelic rock as part of her lifestyle, as well as a medium to express their voices about various social issues. Damn i like their stuff like VW COMBI, colorfull tie dye, their gorgeous headband. Ho man!! All a hippie is someone who appreciate being part of this beautiful planet that everyone else doesn't really seems to care about anymore. Whoaaaa.. komen macam apa itu nying2!!!!!! eluuuuuu,,,emang pengikut gw yang paling setia,,,terima kasih. huaahaha... ga tau ya knp sama teruuuusss...!!! zzz....zzz.. Copyright Agiezt`s BLOG 2009.Wordpress Theme By EZwpthemes . Blogger Template by Anshul Dudeja.